I'm not sure if this is the right place to put this, so a moderator or admin can move this to the correct place if this post is in the wrong area. We went to the pet store today. Yes, they do carry animals. But we went there to pick up food for my rabbit and guinea pig because they're running out, and we're leaving on the 17th to go to NY to visit my parents and family and they won't last the rest of this week and the week we're gone with the food we have. Anyways. We hadn't been to this location in particular, but a location further away. The location further away wasn't much better and the food obtained so much moisture that it all clumped together. This place today was much closer, and I was hoping the food wasn't gonna be in such deplorable conditions. Anyway, I made one very bad mistake....I looked at the animals. And I walked away sobbing, and in tears. They have approximately...4 rats. Three are fairly young, and in the same cage. One is very much an adult, possibly male, in an approximately 20 gallon glass aquarium, by himself. He didn't noticed us, simply laid in the side of the cage, staring off in the distance. The three other rats were just a tad more active. But 2 were kinda staring off in the distance, one of those had hair on his head and neck, but no hair on his body. I don't know why. They had reptiles. 2 geckos didn't have either of their tails. They had 3 guinea pigs, possibly males. 2 black, 1 multi-colored. Apparently, according to the sign, the 2 blacks weren't for sale, but the multi-colored was. ...And his claws were growing underneath his paws. The mice, are feeders, of course, all bundled together, climbing over on top of each other. I don't recall seeing an exercise wheel. Now I've been to PetSmart. PetSmart is bad. But for some reason, no pet store upset me more than it did today. My fiance and his parents had to usher me out of the door before I started opening my mouth. Okay, my point. If you are in the Michigan area, and have available space in your rescue or whatever it may be...I'd really like to see these reptiles/mice/rats/guinea pigs(there were hamsters, too), I'd like to see them placed into good looking homes.. I fear the adult male rat in specific, may not last for very much longer...he was that depressed. I don't know if it's legal to give the address...and again, if you are a moderator, or admin, please advise me otherwise, please, please, please! But I am SO concerned. I'm upset. We don't have the space, or money, to take any of these guys... and if we did, I'd go back in a heartbeat and rob them of all of their pets.... But it hurts so much that I can't. And I know I should probably bite my tongue and wait for the Humane Society to do their thing, but they didn't do their thing in the last state I was in. The two I'm worried about most of all is the guinea pig with the overgrown nails and the adult rat... But I'm worried about all of them in general. Call the HS and voice your concerns. Do not buy these animals,even though they are all in need of better care.Buying the animals is only putting money into the pockets of the pet store employees and making room for more animals to come in and be neglected. Spending money at the store only keeps them in buisness. You're sure that's the only thing I can do? *sighs* It feels like so little... Thanks, though. I totally get not supporting them. But I wish there was a way I could put them out of business. I am not sure...it is 1am and I am tired and cannot think very clearly.Sorry. Call the HS,SPCA and any other higher up people who will investigate.Maybe write into the local newspapers and radio shows and make your voice heard! The more people who know the horrible conditions,the better.Boycott the store and tell everyone you know not to go there. If there is no demand,they will be forced to go out of buisness. Thats really all I have. Even despite your tiredness, those are still good ideas. Calling the Humane Society tomorrow, and following that up with writing into the newspaper, and then perhaps a good jolly ol' boycott sounds good. Thats what we had to do with a store here.We boycotted the store,called head offices and the SPCA was involved.Plus people (not me,I couldn't make it) protested the store to make more people aware. Since I do not go to that store,I don't know if they changed or not and I have not heard anything.But getting the word out is good! Since we're in the boondocks, I may start by posting up signs in our "city's" buildings. Since the pet store is located in the town that most people here would probably shop at. Okay, so, since the phone has pretty much been abducted today and yesterday(my fiance's parents have been making calls in reference to getting this house fixed up from when the 90 gallon split and ruined the floor from the living room all the way into the kitchen), I wrote into the ABC 12 news. And from there I plan on making signs and posting them up outside our "city's" supermarket, since the pet store lays in the closest place that most people here would travel to in order to get pet food. I am in Michigan, what city is it in? Or is it against the rules to say? Uhh... I don't know if it is or not. :/ It's in Clio. It's around the "thumb" of Michigan. 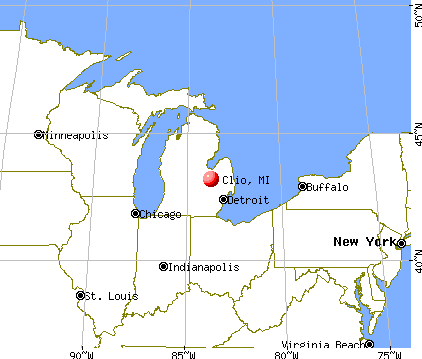 It's within Flint, which is within Genesee County, MI. Last edited by FlickeringHope; 11-14-2009 at 03:31 PM.